Are You Making These 5 Common Towing Mistakes? A great way to beat the dead-of-summer boredom is to take your boat to spots you’ve never explored! 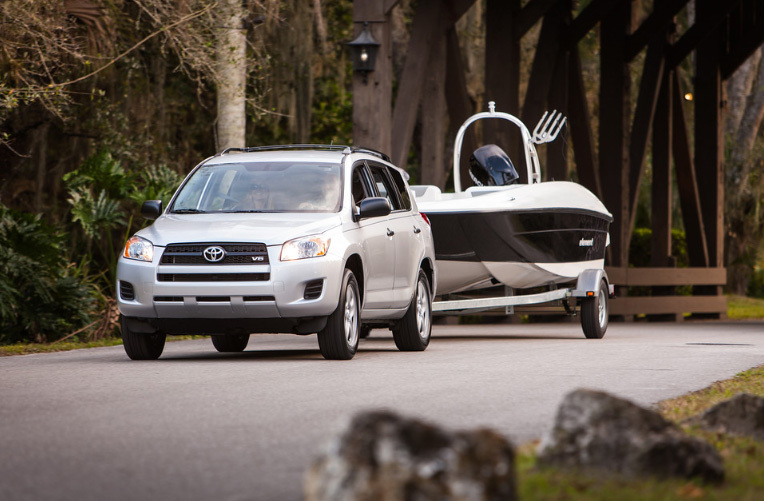 If you usually keep to the waterways instead of the roadways, make sure you’re not the one committing these common mistakes when towing your boat. Even seasoned pros can fall victim to this one. Always check the electrical connector to make sure your brake lights, taillights and turn signals are all working. Having a second person behind the boat while you tap on the breaks and use the turn signals is the best way to ensure they’re working. Trailer lights can go out easily, so keep an extra light bulb in your truck just in case. Keeping the electrical wires taut at the right length will stop them from dragging on the ground and from disconnecting during turns. It can be easy to get caught up in the excitement of a new landscape during a road trip but don’t lose sight of your precious cargo behind you. Breaking, accelerating, turning and especially backing up requires a lot more attention. The brakes on your truck self-adjust, but the brakes on your trailer don’t, so make sure to adjust them properly and replace when necessary. Other drivers may not notice you have a trailer in tow, so be aware of what’s around you and whether you need extra room on the roadways. Don’t feel pressured to move quickly; it’s always better to take your time than to risk an accident. Standard bumper towing hitch balls come in 1 7/8”, 2” and 2 5/16” and in different weight ratings. Using the incorrect hitch ball is an avoidable mistake because the tongue or trailer should have the ball size requirement listed right on it. Something you might have to measure on your own is the shank length and diameter. Once you determine the diameter of the mounting hole in the ball mount, choose a ball shank diameter of the same size. Make sure that the shank can extend past the nut by at least 1 thread. After a day out on the water, life jackets, seat cushions, fishing gear and trash should never fly out of your boat when you’re towing on the freeway! Take full advantage of your boat’s stowage spaces and secure anything that might take off while you’re trailering. One of the biggest pet peeves of experienced boaters are people who hold up the boat ramp while they reorganize or unload their boat, so please tow your boat off the ramp and into the parking lot to do so. Floridians are fortunate enough to be able to go boating year-round. But because our boats don’t have to leave the water for winter, it’s easy for those towing skills to get rusty. Taking the trailer out for a spin to get reacquainted can be a smart thing to do before your boat is loaded up. At some point or another, we’ve all been the towing newbie, so the best advice we can give is to stay patient. After all, we’re all there for the same reason—to go boating! If you’re in the market for a new boat or trailer, head over to our Boater’s Directory to find a dealer near you.